The largest island in the Mediterranean is a variegated world of landscapes and colours: from the Etna’s top covered with snow to the warm and wild coast of the Zingaro nature reserve, from the parched mountains of the hinterland to the verdant Madonie, from the Greek temples of Agrigento and Segesta to the windmills and salt pans of Trapani. 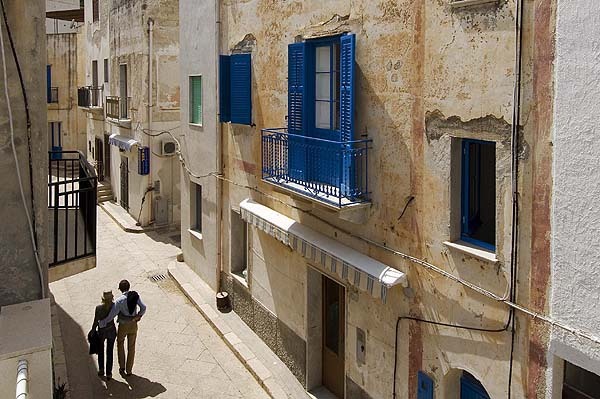 Few other regions can boast such a variety of natural landscapes and nature reserves like Sicily. A stay on the outskirts of a nature reserve could be the ideal place to discover another side of Sicily, the one with unspoilt nature, with small mountain villages full of history and culture situated in the Parco delle Madonie or on the slopes of the Mount Etna, or also to enjoy a memorable holiday exploring the unique landscape of Trapani salt pans. 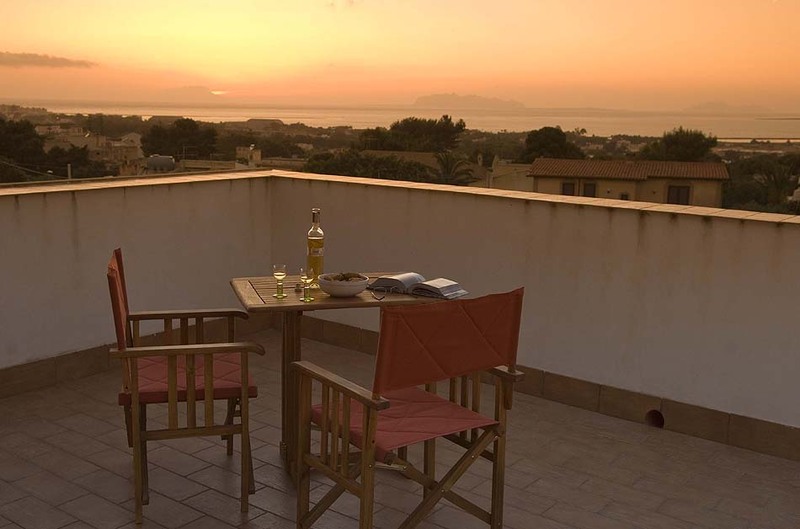 DiCasaInSicilia offers a great variety of accommodation in the vicinity of the regional parks and of the island’s nature reserves. 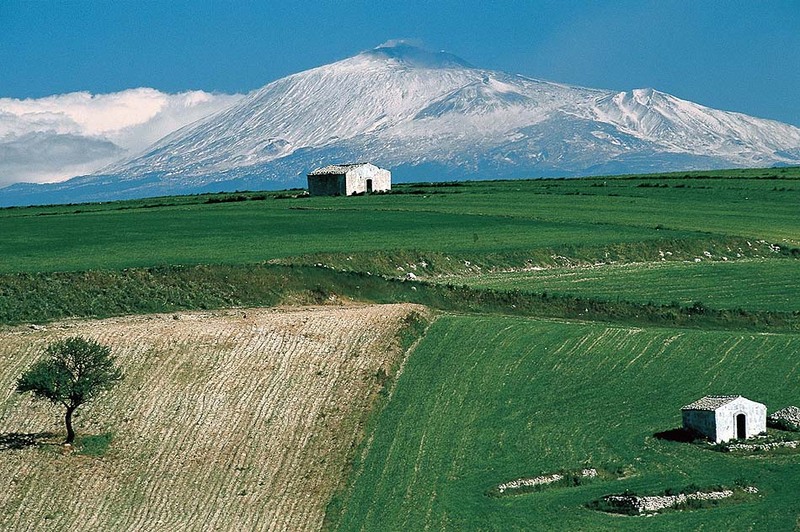 Mount Etna national park is a protected nature reserve of some 60 thousand hectares that rises on the slopes of the highest volcano in Europe. The park has many natural attractions, among them are several small towns such as Trecastagni and Nicolosi and the “Grotta del Gelo” that is a cave with a perennial glacier where the temperature is always below -6 degrees even in summer. Right in Nicolosi, a picturesque hill town situated at 700 metres above sea level, on the southern side of Mount Etna, is Casa di Filli, a typically small villa of this area surrounded by a wonderful garden with low stone walls, aromatic, ornamental plants and the local species of trees of the national park. 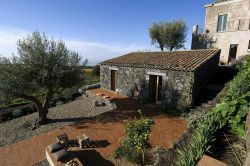 Just a few kilometres away, close to Ragalna, at a height of 830 metres above sea level, is situated Vigna Mascalisi, a nest for two on the slopes of Mount Etna. 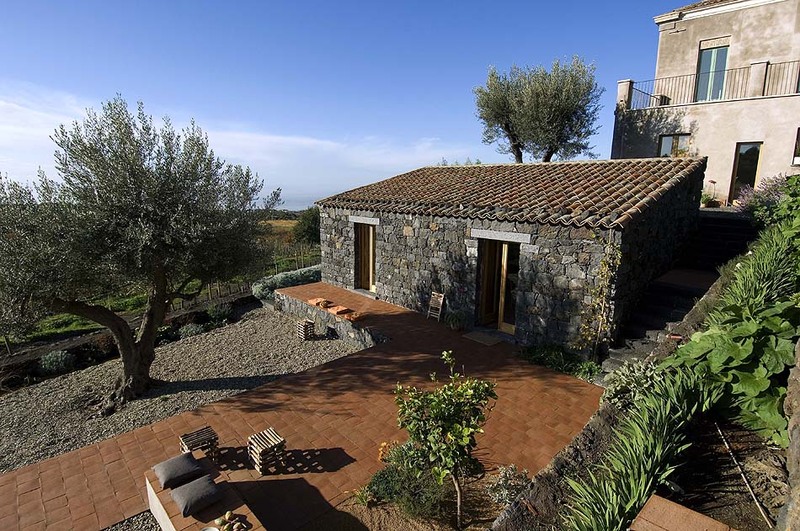 The house is constructed entirely from lava rock and blends perfectly into the surrounding landscape of Mount Etna with its vineyards, oak trees, olive groves and low stone walls. The dwelling is located on an estate devoted to organic produce that offers a little restaurant and a mini bed & breakfast (3 rooms). Where tastings of a whole range of regional products can be sampled and there is also the possibility to buy excellent olive oil, wine, fruit and vegetables among other tasty treats. 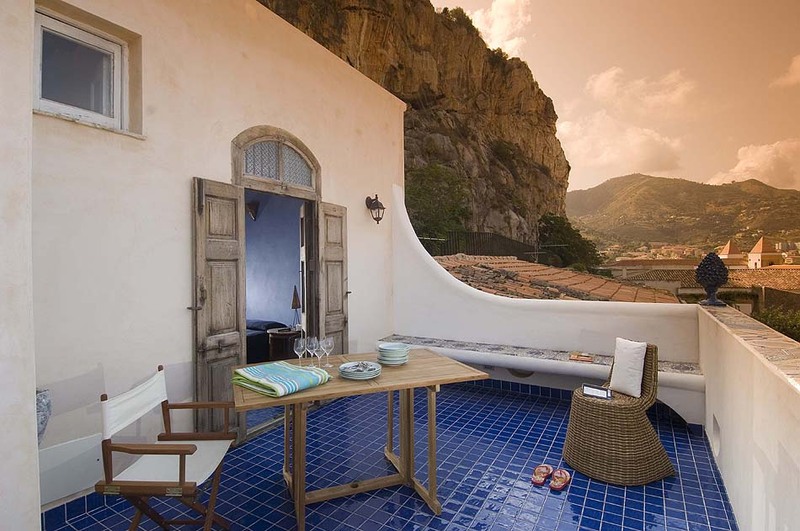 Along the northern Sicilian coast, in the Palermo province, raises the Madonie mountain chain. In order to protect the geological peculiarity and the cultural heritage of the area, the Madonie together with the Nebrodi have been given the status of National Parks back in the eighties. These Apennine mountains, that reach their peak at nearly 2000 metres, are sheer to the sea and create extraordinary landscapes. 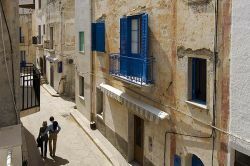 For those who would like to stay just a short way from the Madonie and enjoy the wonderful view of Cefalù, one of the Sicilian pearls, the house Arte Mare & Blu is the ideal choice. 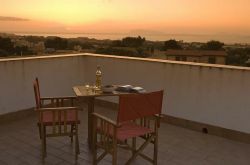 It is situated in the medieval centre of Cefalù, in a stunning position… from its terrace, visitors have an enchanting view over the roofs of the medieval town, the Norman cathedral and the Tyrrhenian Sea. The furniture and the warm colours of the rooms create a pleasant, cosy atmosphere: the rooms feature an original, individual style mix, reflecting the colourful tastes of the owner, who took charge of renovating the house herself. Set up in 1995, the Saline nature reserve of Trapani and Paceco offers some really unforgettable backdrops, among them mountains of salt, the view of the sunset beyond the Casa del Passito, situated just outside Marsala, gives one of the most charming landscapes of the western Sicilian coast: the Egadi Islands looming on the horizon and the ancient salt pans standing out in the mainland. The view is fascinating and the house complements its surroundings, with its two floors featuring original porthole windows. 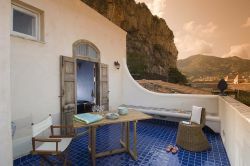 In Marettimo – an island of fishermen belonging to the Egadi archipelago that is entirely considered as a protected area because of its unique botanic species – is situated Hiera, a dwelling dating back to the first decade of the twentieth century. The apartment boasts a great example of decorated concrete floors and is furnished with country Tuscan style furniture of the eighteenth century and with ancient ethnical pieces, such as the head of the beds coming from Morocco.